Lyricist Vivek who has penned the lyrics for all the songs in Vijay's Mersal has just revealed 2 lines from the single track Aalaporan Tamizhan. It is powerful and it looks apt for Vijay's image. Check out his tweet, "உங்களுக்காக மெர்சல் வரிகள் 😀அன்பக் கொட்டி எங்க மொழி அடித்தளம் போட்டோம்..மகுடத்தத் தரிக்கிற 'ழ'கரத்தச் சேத்தோம் 👑"
A rough English translation is here - "Few lines from Mersal for you. Our language was built on love." The next line glorifies about the use of letter 'ழ', a sound that typifies our language. Sweet surprise: Mersal full single is out! 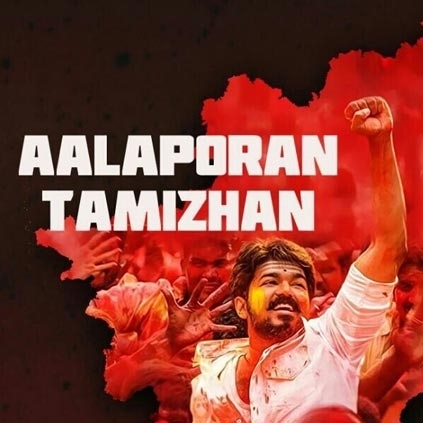 First On Net: Aalaporaan Tamizhan single review! Wow! Baahubali bought for a whopping price by Netflix! People looking for online information on Mersal, Vijay, Vivek will find this news story useful.